Although I have many pictures in Photos (from iPad) and when I login in iCloud.com in my account, when I open Afffinity photo and try to load some picture from the Affinity Photo menu (Import From Photos) shows none. I don't be able to load any pictures through Affinity photo. 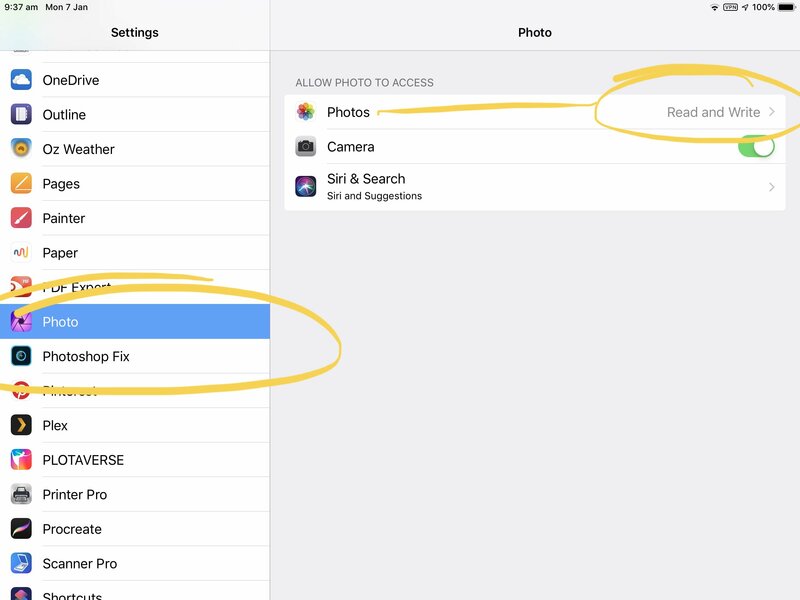 Check iPad settings, scroll down to A Photo app and tap, check to see it has both read and write permission to iOS photos. You were right, I skipped this important step in the initial setting. Thank you DM1 for addinh the screen-shot of the problem, for sure will help more than one.